Barbara Hackman FRANKLIN is President and Chief Executive Officer of Barbara Franklin Enterprises, a private international consulting firm headquartered in Washington, DC. She is an advocate for and adviser to American companies doing business in international markets, notably China, and is an expert on corporate governance, auditing, and financial reporting practices. As the 29th U.S. Secretary of Commerce for President George H.W. Bush, she achieved a major goal – increasing American exports – with emphasis on market-opening initiatives in China, Russia, Japan and Mexico. Her historic mission to China in 1992 normalized commercial relations with that country, removed the ban on ministerial contact that the U.S. had imposed following the events at Tiananmen Square in 1989, and brought back $1 billion in signed contracts for American companies. Trade with China grew dramatically in the ensuing years as did foreign investment. Secretary Franklin’s public service began two decades earlier. In 1971 she led the first White House effort to recruit women for high-level government jobs as a staff assistant to President Richard Nixon, an effort which resulted in nearly quadrupling the number of women in those positions (1971-73). Her White House story is told in the 2012 book by Lee Stout, A Matter of Simple Justice: the Untold Story of Barbara Hackman Franklin and A Few Good Women. Following this, the President appointed her an original Commissioner of the U.S. Consumer Product Safety Commission, where she focused on safer products for children (1973-79). 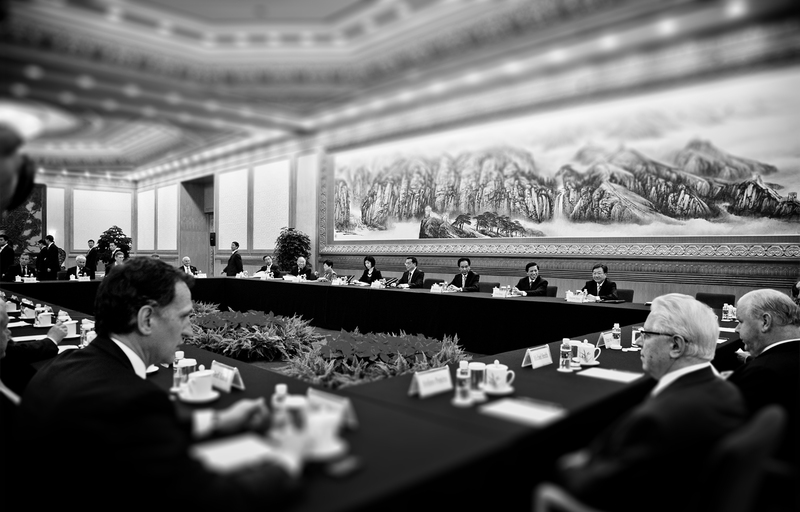 Additionally, Franklin has served four terms on the Advisory Committee for Trade Policy and Negotiations, by appointments of Presidents Ronald Reagan and George H. W. Bush, and as Alternate Representative to the 44th United Nations General Assembly by appointment of President George H. W. Bush. Altogether, Franklin has served five U.S. Presidents and, in 2006, received the Woodrow Wilson Award for Public Service. In the private sector Franklin has served on the boards of directors of 14 public companies and three private companies, and is currently a board member of Aetna Inc., a trustee of a cluster of American Funds, and a member of the Lafarge International Advisory Board, Paris, France. She has received numerous governance awards and served as chairman of the National Association of Corporate Directors (NACD) during a period of significant growth in membership and vitality. Secretary Franklin is chairman emerita of the Economic Club of New York, immediate past president of the Management Executives’ Society, and a board member of the US-China Business Council, the National Committee on US-China Relations, the Atlantic Council, the Committee for Economic Development (CED), and the National Symphony Orchestra. She is a member of the Council on Foreign Relations and the Advisory Council of the Kissinger Institute on China and the United States at the Woodrow Wilson International Center for Scholars. She was a founding member of Executive Women in Government (EWG) in 1973 and of the Women’s Forum of Washington, DC, in 1981. During the 1980’s, Franklin was a Senior Fellow of the Wharton School of the University of Pennsylvania. Fresh out of Harvard Business School and prior to joining the White House staff in 1971, Franklin worked at the Singer Company as manager of environmental analysis and at First National City Bank (now Citibank) as assistant vice president. Her analysis of the Bank’s relationships with government led to the creation of its first government relations department, which she headed. Born in Lancaster County, Pennsylvania, Franklin graduated with distinction from the Pennsylvania State University and was one of the first women graduates of the Harvard Graduate School of Business Administration. Among her many honors and awards, she has received the Distinguished Alumni Award from Penn State and the Alumni Achievement Award from Harvard Business School. 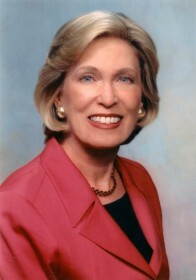 She is married to Wallace Barnes, retired chairman and CEO of Barnes Group, Inc. They reside in Washington, DC and Bristol, CT. The Honorable Barbara Hackman Franklin is to be inducted into the National Association of Corporate Directors’ (NACD) 2014 Directorship 100 Hall of Fame. This award recognizes Secretary Franklin as one of the most influential leaders in the boardroom and corporate governance community. For more than 30 years, Franklin has served on corporate boards, beginning at a time when there were few women directors. Her service encompasses membership on 14 public and three private company boards, and she has chaired six public company audit committees, three governance committees, and served as a non-executive chairman and as a lead director. Currently, she serves on the board of Aetna where she is a member of the nominating and compensation committees and is past chair of the audit and governance committees. She is chairman emerita of the board of NACD, has co-chaired two NACD Blue Ribbon Commissions and served on a dozen others. This year’s honorees will be recognized during a gala dinner at the eighth annual NACD Directorship 100 Gala on Dec. 3, in New York City. In addition to the NACD Hall of Fame induction, Secretary Franklin was the 2013 Connecticut Women’s Hall of Fame awardee recognizing her for her years of service to the state and the country. Secretary Franklin’s public service began two decades earlier. In 1971 she led the first White House effort to recruit women for high-level government jobs as a staff assistant to President Richard Nixon, an effort which resulted in nearly quadrupling the number of women in those positions (1971-73). Her White House story is told in the 2012 book by Lee Stout, A Matter of Simple Justice: the Untold Story of Barbara Hackman Franklin and A Few Good Women. Following this, the President appointed her an original Commissioner of the U.S. Consumer Product Safety Commission, where she focused on safer products for children and better control of carcinogens (1973-79). 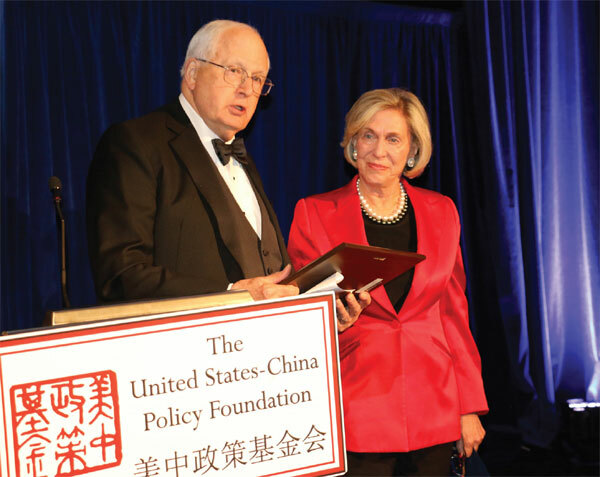 Secretary Franklin is chairman emerita of the Economic Club of New York, immediate past president of the Management Executives’ Society, and a board member of the US China Business Council, the National Committee on US-China Relations, the Atlantic Council, the Committee for Economic Development (CED), and the National Symphony Orchestra. She is a member of the Council on Foreign Relations and the Advisory Council of the Kissinger Institute on China and the United States at the Woodrow Wilson International Center for Scholars. She was a founding member of Executive Women in Government (EWG) in 1973 and of the Women’s Forum of Washington, DC, in 1981. During the 1980’s, Franklin was a Senior Fellow of the Wharton School of the University of Pennsylvania. Barbara Hackman Franklin has been heralded by one media commentator as “the grand dame of government governance”. In fact she has not only been a major contributor to the United States long term international commerce stability but a leader in diverse financial and corporate industries and tapped by former President Nixon to bring more qualified women into high level, policy-making government positions resulting in a broad spectrum of representation in administrative, national security (FBI) and at the levels of generals and admirals in the U.S. Armed Forces. One of our dedicated staff will be in contact with you in 24 hours about your booking.